World-class service and great product makes AuCom the right choice for your soft start needs - something sawmill equipment manufacturer Cleereman Industries has experienced first hand. 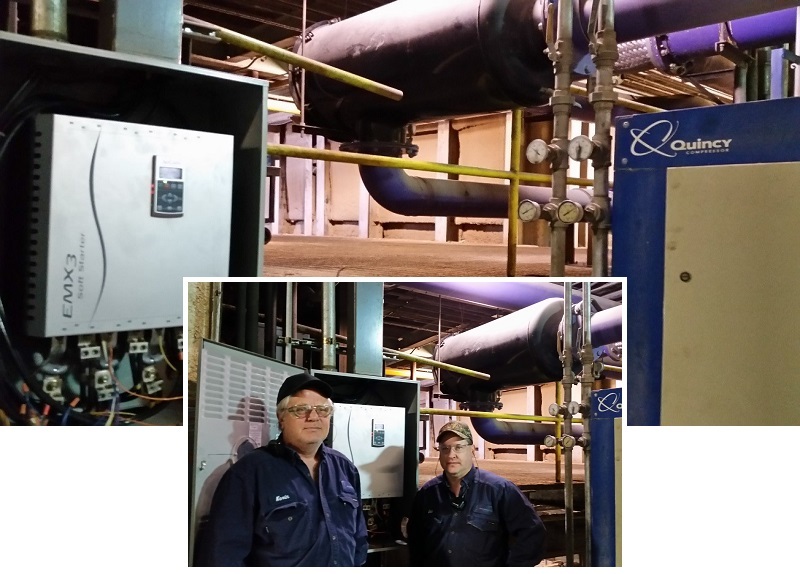 Leading manufacturers of cutting edge sawmill equipment in Wisconsin, Cleereman Industries installed four AuCom EMX3 soft starters as part of a recent project for Twin Forest Products. Issue: Repair of competitor’s soft starter that had failed was one option. But replacement with AuCom’s EMX3 Heavy Duty soft starter chassis unit was a faster and more economical solution. Even then, this ‘hard to start’ compressor was a challenge!! A key to clear communication and interoperability is having a shared understanding of the meaning behind terms and phrases. The United States motor industry recognises the importance of nameplates using standardised jargon among all manufacturers and has been enforcing usage of the correct terminology for the past 90 years. Using the same terminology and education around the meaning of the terminology has paid off. Having a common motor nameplate language has helped make motors interchangeable and personnel able to correctly understand the specific features of the motor they are installing or replacing. Are you paying for the perception of flexibility in your system design? With an estimated 80% of electric motor applications being fixed speed processes perhaps it isn’t surprising that variable speed drives are consistently being misapplied. Many motor driven systems are being designed with VSDs to add flexibility that isn’t needed, compromising efficiency while adding to capital and operating costs.